Not too sure this question has ever been adequately answered, at least in the American versions of karate. I can tell you only that when I started to seriously study karate the weapons involved in the style I chose was often referred to as ‘kobudo’ and was always, always, translated at karate weapons. Kobudo [古武道] according to the shinjinbukan dojo, the characters all mean the same and the general definition given is, “The ancient martial way. In general, the term may apply to any ancient martial art. It is commonly used to refer to the Okinawan weapons systems, also referred to as ‘kobu-jutsu’. Ryukyu Kobu-jutsu [琉球古武術] or Ryukyu Kobu-do [琉球古武琉球古武] according to the shinjinbukan dojo definition means, “The Okinawan weapons system founded by Taira Shinken and later continued by his disciple Akamine Eisuke. So far, none of these actually refer to the weapons as the sole art taught and practiced often under the heading of karate, empty hand. Another conundrum I feel makes for more convalusion is the term, ‘martial or bu,’ that indicates martial in the phrase martial art. Martial or bu is about the art of war, military arts, military force and the sword but not so much as to empty hand with ancient Okinawan implements such as the bo, the tuifa and the kama, etc. The question, for a more accurate perception, is what terms, if any, would better describe the art of ancient Okinawan weapons? Ancient [古い]; Okinawan [沖縄]; Weapons [剣戟 and/or 兵器]? Kodai Okinawa no buki [古代沖縄の武器] through google translation from English to Japanese means ancient okinawan weapons. 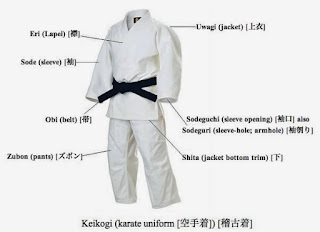 Still, with this slightly more detailed definition it still does not connect in a more direct way to the ancient okinawan weaponry that is unique to the practice and teaching of karate or Taira Shinken’s kobudo. In the end, is kobudo appropriate to the practice of the ancient okinawan weaponry of the ‘bo and tuifa and nunchaku and kama, etc. ?’ If we assume that the term is being used correctly today on Okinawa then we can accept that but I suspect that they use the term simply out of convenience and of course respect for Taira Shinken who pioneered the separate and distinct system of Okinawan weaponry training and practices and teachings. 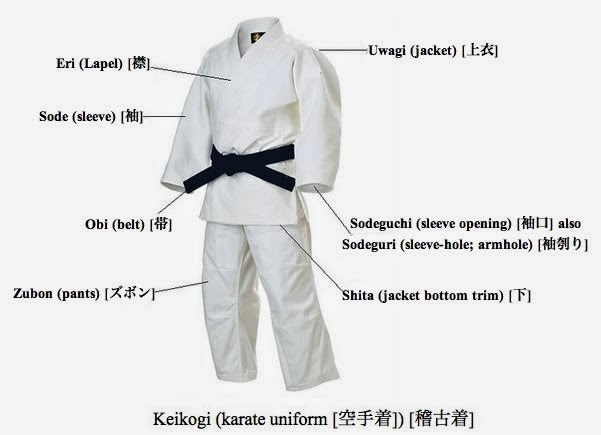 Personally, I am not amicable to combining karate, empty hand, with kobudo or kodai no buki because the two are, at least to my perceptions of ancient Okinawan martial disciplines where empty handed training was a prerequisite to weapons training and that the weapons training was more in line with military operations than the civil form of today’s karate. Kodai no buki [古代の武器] Ancient Weapon(s). So, even if I am correct and accurate, what does this mean to the community and will the term kobudo be removed? I think not, like most things it has become ingrained in the mind and belief systems of all martial artists so we can expect that it will remain the term for Okinawan weapons practiced in Okinawan karate. The chances of acceptance and implementation are remote to plain old ‘ain’t never ever gonna happen’! If we could establish a culture and belief that every facet of life here is important and that nothing in our world, society and culture is to be taken fro granted and then if we can all establish and live a relation with others governed by how well we trust one another with our very lives I feel we could get back that spirit that made this country and its people great so long ago. Is karate ... based on principles or technique? The answer seems simple but as with all things martial arts you end up with - "It Depends!" Starting with the second first, technique(s) can be defined two ways where the most obvious is derived from the modern technique based training model while the second ways is more apropos and at the same time either unknown or misunderstood. Then there is the first, a principled based model where the universal underlying principles connected to multiple methodologies, etc., is the basis or foundation for all martial arts. Herein lies the rub to the original question that started the mess to begin with. Herein lies the article you will read today in my attempt to put a light on the question so I will begin as before, with the second. Note that Mr. MacYoung does not use this term like so many karate dojo, i.e., the technique of punching with the fist, the techniques of striking with a palm or the technique of kicking with the ball of the foot. This is all novice stuff meant to teach not necessarily techniques but how to move, it is the moves to achieve actions, it is about a collection of appropriate moves for the situation that becomes, in that moment only, a collection of movements that make up the technique used in fense. Then the rest is basically tactics to apply those techniques to achieve a goal of fense. Learning how to move and the proper physiokinetics necessary to perform those movements as techniques and so forth. I believe you get the picture regarding technique(s), so now lets take a look at a favorite subject and perception of fense karate, the principles. The principles to which I speak are those fundamental principles of fense through the discipline of karate or martial arts. They are the same regardless of style or system, the are universal and they provide us the foundation to make any fense discipline work. These principles that I am writing about are the majors while within the disciplines of the mental and physical there are other principles involved as well. These minor principles tend to involve some aspect of technique, moves + actions + collective = technique, such as certain principles involved in body manipulation, i.e., ball joints vs. hinge joints, etc., and the process to manipulate them to achieve a tactical and strategic goal. You can find out more about that specific example by getting Rory Miller’s video’s on that subject. The application of major and minor principles also involves methodologies used to get things done, i.e., methodologies are a collection of techniques as described above but are not always techniques per say but those actions that lead to things like avoidance, awareness, and escape and evasion - all fense strategies and tactics to get-r-done. Now, lets diverge a bit from the original question that I would pose and that is, “Is karate based on principles, techniques or changes. For me, my mind tends to go toward changes because as I will explain, everything is about change, everything is about yin-yang and everything is about how we apply ourselves toward not just change for changes sake but the balance we achieve toward the ever flowing chaotic change that life presents every single moment of life be it normal day-to-day things or when it comes to serious conflict and its resulting violence. The true question is not whether karate is about principles or technique or even both; it is a question of "change!" The true nature and essence of karate is the principle of change, learning the patterns (kata) of change. We endeavor to learn rhythms, cadences and patterns when the truth is we should be learning about change. The very basis on which like and the way, Tao, is about change and resulted in the creation of the I Ching and other classics. The effort was to teach about the Universe and that means it's only constant - Change! The very essence of life is change: birth, growth, decline and death. The fabric of our universe is about birth, growth, decline and death therefore that process is about the changes life pulls us through and change is life's cornerstone. Evolution is about change, to grow one must learn from that experience meaning change meaning survival or human kind would have ceased to exist long ago. The very word and process of evolution is change geared toward survival according to the very changes naturally occurring as a result of the natural changes that come from the very nature of our world and universe. If not for the nature of changes life as we know it may not have come to be - change is inevitable. If not for the changing seasons the fuel we need for sustenance would not be possible. All this says to me that the true nature of disciplines such as karate should be based on change. It is amazing how many karate-ka work so hard to avoid change that the very nature of karate, change, has all but disappeared. Karate as a fense system is about learning how to handle one of the most chaotic and changing form of conflict and violence where mastery comes not from the memorization of technique but our abilities to adapt to - change! I feel that all my studies to date have come to realize that the underlying theme to all reality based models of fense are about handling changes, unexpected and unique changes from moment to moment and situation to situation. Oh, forgot, now I am going to throw my personal monkey wrench into the mix by answering the modified question. No, it isn’t going to be a long repetitive answer since you already got that one but a much shorter answer. Here it is: “In a nutshell, karate is based on all three concepts, i.e., it is based on principles both major and minor; it is based on technique as described as moves, actions, a collective and its resulting techniques; it is based on change, i.e., the chaos of violence and conflict that requires rapidly changing circumstances and environments that is conflict and violence. In short, it is all three of those.